A settlement has been reached in a lawsuit that accused a Town Hall Police District community policing officer of battering and injuring a black security guard during an off-duty incident at a Boystown bar in 2013, according to court filings. Court records show that Officer Thomas J. Walsh’s liability company paid former security guard James Matthews $300,000 to settle the case which alleged hate crime, battery, and intentional infliction of emotional distress against Walsh. Matthews claimed that a shoulder injury that he suffered in the incident had prevented him from working again as a security guard. 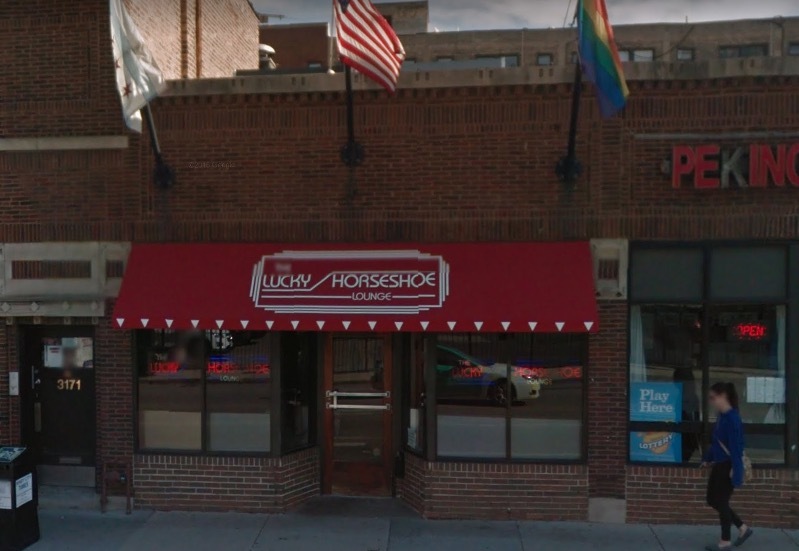 Matthews separately received a $2,000 worker’s compensation payment from The Lucky Horseshoe Lounge, 3169 North Halsted, according to court filings. 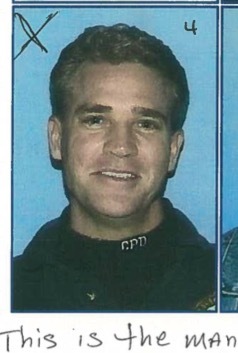 In addition to working as a police officer in the 19th District, Walsh’s private security company, Walsh Security, has been paid with private funds to patrol the Boystown and Wrigleyville bar strips as well as the Center On Halsted at 3656 North Halsted. Judge Christopher Lawler brought the Matthews case to an end on Tuesday by issuing summary judgment releasing the Horseshoe from liability under the Illinois Dram Shop Act. Lawler also granted a summary judgment in favor of the City of Chicago, which Matthews sued based on Walsh’s position as a police officer. In June 2015, then-Chicago Police Superintendent Garry McCarthy imposed a 60-day suspension against Walsh after a 15-month Independent Police Review Authority (IPRA) investigation sustained three of four charges against Walsh in the Horseshoe incident. Walsh exercised his contractual right to file a grievance. The status of the disciplinary case was not immediately available. The Lucky Horseshoe Lounge in an image from Google Streetview. According to Abbruzzese’s reports, around 9:30 p.m., Walsh headed to the Lucky Horseshoe where he had been friends with management for some fifteen years. He bellied up to the back bar with Tim Mitchell, a politically-connected man who was ex-CEO of the Chicago Park District and a long-time aide to Chicago Mayor Richard M. Daley. A few minutes later, James Matthews, then 48-years-old, walked through the bar’s front door. He was reporting for his first shift as a security officer there. Matthews was met by his supervisor who walked him through the bar, showing him the layout and introducing him to staff members, according to the men's statements to IPRA. As the two guards reached the back bar, they noticed a dust-up between some patrons. A local barfly had been thrown to the ground after calling Walsh’s friend—Mitchell—a “fat f*ck.” Walsh said he was trying to break up the fight when security arrived. “...and then you know the guy’s layin’ on the ground. And I said what the f*ck are you puttin’ your hands on me? And I… did call ‘em a ni**er which I regret,” Walsh told investigators. “I wanted to clarify that my conduct was not influenced by the alcohol… I was not intoxicated. I did not start either event and I was assaulted from the rear by an unidentified individual.” An allegation that Walsh was intoxicated at the time of the incident was not sustained by the IPRA investigation. Neither man could recall seeing Matthews on the floor nor did they remember Walsh verbally abusing him as he lay on the ground. One remembered Walsh using the N-word. Mitchell, the former parks CEO who was the target of the drunk’s insults, died in December 2014 before speaking with IPRA. Another of Walsh’s friends who did speak with IPRA has subsequently died. Circuit Nightclub seen in a 2015 Google Streetview image. The space is now occupied by Fantasy Nightclub. The Horseshoe settlement was the second civil case involving Walsh or his security company to wrap up in recent weeks. On April 16, Walsh Security’s insurance company reached a $6,000 settlement with a man who sued the company and a different Boystown nightclub over an incident that took place on New Year’s Day 2015. In the lawsuit, Jeovany Gutirrez alleges that he was injured after being punched in the face by an unknown person at Circuit Nightclub, 3641 North Halsted. Gutirrez sued Circuit, its owners, and Walsh Security, which he alleged was the security company on duty that night. Through court filings, Walsh Security denied any involvement in the matter and denied that its officers were on duty at the nightclub on the day in question. The lawsuit continues to move forward between Gutirrez, Circuit, its owners, and the unknown attacker. Fantasy Nightclub now operates in the space previously occupied by Circuit. Walsh did not respond to requests for comment on this report. Exclusive, original reporting for Boystown. We can only do it with your support. Subscribe for just $49 a year or $5 a month to receive members-only reports and services. Or, name your own amount. The choice is yours.